Shriners International has announced that Tampa will host its 2016 Imperial Session, bringing an estimated 20,000 Shriners to Tampa Bay. The Imperial Session is expected to produce over 16,000 hotel room nights and over $3.4 million in delegate spending. Tampa last hosted Shriners International’s Imperial Session in 2006. The 2016 Session will offer opportunities for the Tampa Bay community to get involved, including opening ceremonies, competitions and the annual Shriners parade where hundreds of Shriners from across North America entertain onlookers. 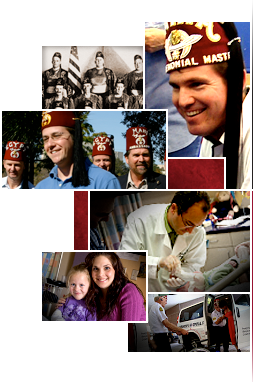 Shriners International is a fraternity based on fun, fellowship and the Masonic principles of brotherly love, relief and truth. There are approximately 325,000 members from 193 temples (chapters) in the U.S., Canada, Mexico, the Philippines, Puerto Rico and the Republic of Panama. For more information, visit www.Shrinershq.org. Please join us in welcoming this group, as well as all Tampa Bay meetings, conventions and visitors to the area!